Marvin Bell’s nineteenth book was the wartime collection, Mars Being Red (2007). His twentieth is 7 Poets, 4 Days, 1 Book, a collaboration of seven poets from five countries. Long a member of the Iowa Writers’ Workshop faculty, he teaches now for the brief-residency MFA program based in Oregon at Pacific University. The first incarnation of Bell’s The Book of the Dead Man appeared in 1994 (Copper Canyon). A second volume, Ardor, was published in 1997. “About the Dead Man and the Northwest” is from a new, forthcoming collection of “Dead Man” poems. 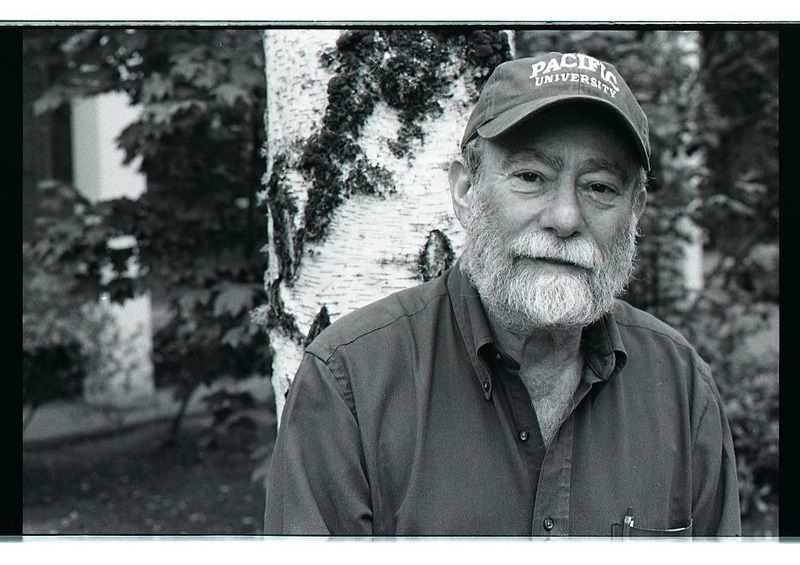 Look for more of Marvin Bell’s poems in Poetry Northwest in the months ahead. +++ Live as if you were already dead. +++ And the fish swim in the lake / and do not even own clothing. +++of a winter sky, pleases him greatly. +++smooths his hours and the mountain passes frame the light at midday. +++batteries, bubble wrap and book bags–name anything. +++of brain cells or the feel of the air. +++ Peninsula, is almost out of time.